Heading to a DMV hearing after receiving a North Carolina traffic citation can be an intimidating experience. If an individual does not know enough about the legal system, the person may be at risk for experiencing severe consequences. There can be many options when it comes to traffic citations and, if an individual does not know these options, he or she can potentially end up with the maximum sentence for the violation. 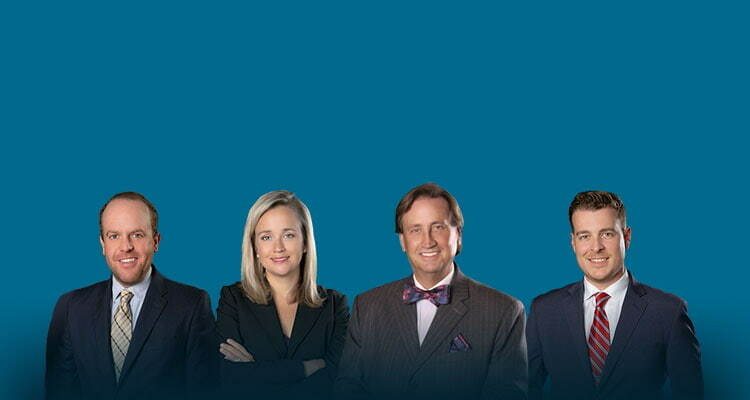 Using a North Carolina traffic attorney as a guide to the legal system can be advantageous. If you are looking for legal representation with experience, compassion and a desire to help, the lawyers at Powers Law Firm may be right for you. In some cases, recipients of North Carolina traffic citations may not have to go to court if they have representation. What Can I Expect at a DMV Traffic Court Hearing? 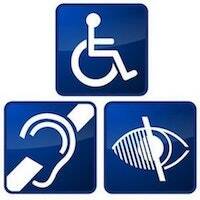 Traffic law hearings can be complicated to those without experience. Many have found themselves waiting outside of a courtroom wondering what will happen next. What many individuals are worried about when they are written traffic citations is the fact that points that can possibly come along with the violation. Speeding, reckless driving, aggressive driving, running a stop sign or a red light are all violations that have the potential to lead to points being assessed on a driver’s license. When an individual receives points, his or her insurance company might be informed and car insurance costs can possibly increase. With an attorney from Powers Law Firm, an individual’s rights can be protected, and he or she may be able to better understand what the right procedure is when it comes to going to court to fight a traffic violation. How Can a Traffic Court Lawyer Help? Without the experience and legal knowledge that a North Carolina traffic attorney may be able to contribute to an individual’s case, the outcome may already be decided. 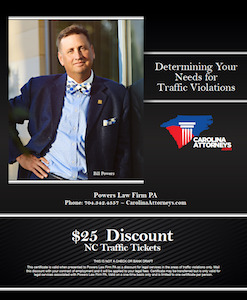 Using an attorney, like one who works at Powers Law Firm and has a desire to help individuals who have received North Carolina traffic violations, may ultimately help accused violators better work through the court process and possible consequences attached to citations. Being respectful during the writing of your citation and during your court hearing can be extremely helpful. Cooperating with the court, the judge and your lawyer can potentially bring about a better outcome, especially if you have the support of a North Carolina traffic attorney from Powers Law Firm, PLLC. Hey there, I’m Bill Powers. I’m going to talk to you a little bit about DMV, Department of Motor Vehicles, and hearings and appeals. Sometimes you’re entitled to some relief. We refer to it as administrative relief. Sometimes you’re entitled to hearing where we actually go to DMV office with you and we talk to a DMV hearing officer. North Carolina Division of Motor Vehicles DMV, it’s kind of frustrating. I’m not defending this. I, frankly, disagree with this. No disrespect meant to the fine people at DMV, but your DMV hearing officer is also your prosecutor in North Carolina. That means your judge is also your person who kind of looks at a record and decides whether you’re going to be driving or not. We sit next to you to try to explain, using a very, very technical set of rules in North Carolina set forth by statute and protocols, why you should not be revoked, or suspended, or why that should be lessened, or why they should put you on some sort of probationary period with certain conditions. Keeping your record clean, or the installation of maybe an ignition interlock device. They should let you keep driving. Now DMV hearings and appeals, oftentimes, also involve things more than just speeding tickets, or an accumulation of points. It may be related to driving while impaired. It may be related to being accused of willfully refusing to a breath or blood sample, which is even more complicated. Then the questions is, if you don’t like the result at DMV, at the DMV office, do you have a right to an appeal? This page, I called it DMV Hearings and Appeals, sometimes we actually have to file a civil lawsuit with an associated, we call it TRO, Temporary Restraining Order, challenging the hearing officer’s decision, or opinion, to superior court in North Carolina. Gracious, it’s complicated. It’s time consuming. It’s not always fair. You are not always entitled to hearings. You’re not always entitled to appeals, and even if you are entitled to appeals there are limited set of circumstances and types of offenses and factors involved that you can actually appeal. We do a fair number of these in North Carolina. We will travel around. We see certain patterns. We’re willing to talk to you on the phone and get a general idea what’s going on, quote you a price, and let you decide what you think is the most appropriate way to proceed. I frankly think that DMV is so complicated it really, really helps to have a lawyer. I’ve seen it go south. We end up fixing, or trying to fix problems. Sometimes we can’t. But trying to fix problems where someone didn’t know what they were doing, and they have a result with a revoked or suspended license. We see this with high speed tickets. Maybe you’re entitled to a hearing, maybe you’re entitled to an appeal, maybe you’re entitled to some sort of relief with the court and a limited driving privilege. Give us a call. Consultation’s free. We’ll tell you straight up whether we think we can help you, and what you tell us is confidential. I hope to hear from you. Our telephone number is 704-342-HELP. 704-342-4357. Thanks for watching.